Dax has been helping customers find a great nights sleep for over 30 years. "I still really enjoy finding out about my customers specific sleep requirements. Are you a front, back or side sleeper? Does your partner disturb you through the night? Have they got back/joint problems etc? I'll then identify the perfect new bed or mattress to provide the great nights sleep that we all need." 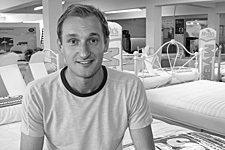 Ben has been offering his sleep advice at The Bed Warehouse for over 25 years. In that time he has encountered most of the challenges arising from finding a customers perfect nights sleep. If you've got any questions he'll have the answers. 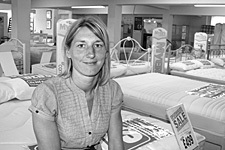 Zoe manages our bed store at Perry Barr. She uses her many years of experience in the sleep industry to match the extensive range of beds and mattresses on offer to each customers individual needs. She'll help you find your perfect nights sleep without having to worry about high pressure sales people. 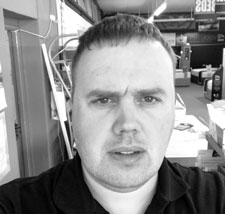 Andy is the manager of our Castle Bromwich bed shop and has over 25 years experience in the sleep industry. 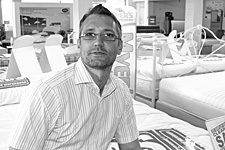 Over many years he's developed the store into one of the leading brand name bed showrooms in the West Midlands if not the UK. With dedicated Sealy, Silentnight and Hypnos display areas and highly trained advice on hand you are sure to find your perfect nights sleep. 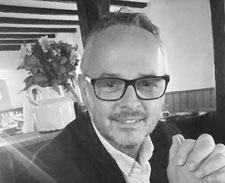 Gordon is the manager of our Stafford bed shop and has been helping people find a perfect nights sleep for over 30 years. Gordon has created a wide ranging display of beds from very firm orthopeadic beds to the ultimate luxury pocket spring models. With his advice and guidance you'll soon be sleeping in your perfect new bed. 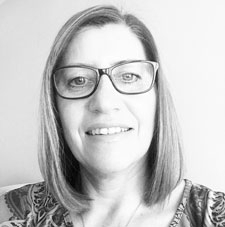 Kerry is another member of the team with over 30 years experience of guiding and advising customers towards their perfect new bed or mattress. Based at our Perry Barr bed shop Kerry uses her extensive knowledge and experience to make sure that every customer finds the best nights sleep they've ever had.